(24 mins) In this second part of a two part interview, Hackie Reitman, M.D. continues his conversation with Dr. Michael Alessandri, the Executive Director of the University of Miami-Nova Southeastern University Center for Autism and Related Disabilities (UM-NSU CARD), and chair of the upcoming Autism Innovations & Global Impact Conference hosted by Els for Autism. 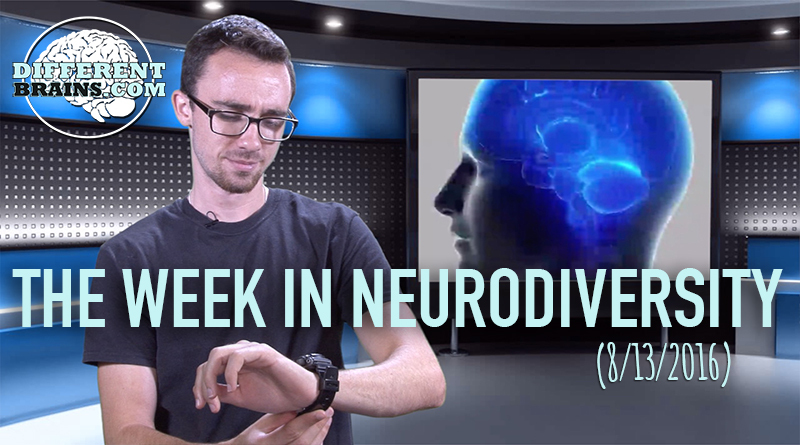 Dr. Alessandri discusses the challenges UM-NSU CARD faces in the work they do, the importance of caregivers to allow people on the spectrum to choose their own paths, and the need for a role-model in the LGBT autism community. HACKIE REITMAN, M.D. 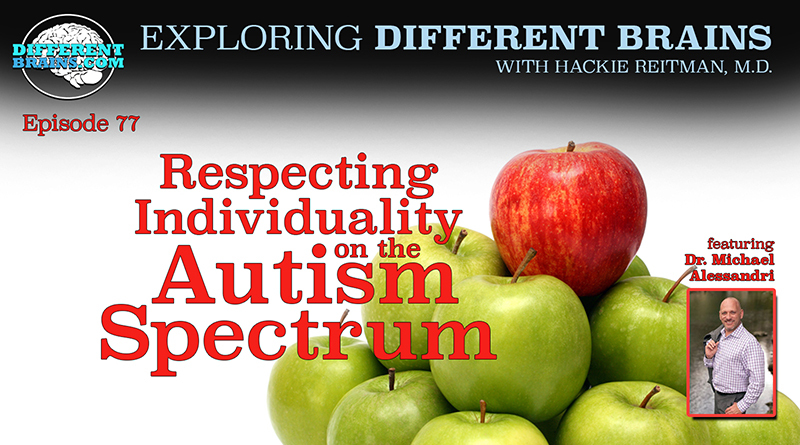 (HR): Hi I’m Dr. Hackie Reitman, we’re continuing our conversation with Dr. Michael Alessandri who in addition to being a professor at the University of Miami for about 20 years and the head of CARD (the center for autism related disabilities) at the University of Miami and Nova Southeastern University, he’s also the chairman of the upcoming Autism Innovations and Global Impact Conference hosted by the Ells for Autism and that’s barely the tip of the iceberg. Welcome back Michael. MICHAEL ALESSANDRI, PH.D. (MA): Thank you. HR: What do you see as the biggest challenge-facing CARD? MA: We have so many, and right in the middle of the legislative setting you ask me that. Obviously funding is a major concern, not just having more money but funding to serve the sheer numbers of people that are coming to us every year. HR: Give us an idea on some of the numbers. MA: We have 11,000 active current clients from diagnosis through someone in their 80s for example we probably have one or two clients upward of 80+. We get about 1,000 new clients per year. We really don’t get consistent funding increase every year so we’re having to serve significantly more people every year pretty much at the same funding level. So it forces us to be more creative in how we deliver services and it delivers us to think more strategically how to prioritize services and needs. HR: Do you find yourself inadvertently discriminating against adults? MA: Actually I think we’ve done fairly well with adults, the concern that I have is I’m less concerned about those that are newly diagnosed, I think they get pretty good support from us and I think adults get pretty good support from us in the last 4 or 5 years we’ve really ramped up with our adult service programs, our social programs, we’ve had some endowment endowed gifts that have helped us, we have some grants related to entrepeneurialship so we’ve done a little bit more than we though we could. The folks in the middle are the ones who really concern me. The school aged kids who are kind of in their routine, in school; probably doing ok relatively ok but not necessarily the best that we know is out there. And I worry about the kids in the middle, the early elementary to the teenage years. I think for our service provision we do pretty well early on and pretty well later on and I think we do ok in the middle but I worry they don’t get enough of our attention because adult services take considerable amount of time and energy and money and early intervention, early diagnosis takes a lot of our attention as well. I would say 10 years ago we really weren’t as focused on adults as we should have been. We all knew kids were going to grow up, we all knew this wave of adults was coming, but there weren’t really any clear pardons for how to create a world or create a service delivery system that would really support adults very well. So we had to discover that and in some ways we’re kind of leading the way now in Florida. I think we have innovative programs for job development, job training. We have innovative programs for social skills; we have innovative programs for entrepreneurship thanks to a partnership with the Rising Tide Car Wash founders. MA: They worked with us on a really important initiative where we have a 3-year grant from a private family foundation, we’re traveling the world educating people how to create businesses emphasizing autism advantage as a key competitive advantage. And now we’re building an online course. The partnership with Rise and Tide has been tremendous because we’ve been able to take our vision for employment which in this case is about teaching people they can be entrepreneurs on their own. Now there is some risk with that, entrepreneurship is not easy, it can cost you money and blood, sweat, and tears but we do want parents and family members and people with autism to understand that they don’t have to wait for something to come to them. They don’t have to wait for society to change, they can change it on their own, they have the power to do that. They have the skills, the talent, the vision; they just need a little bit of the business know how to kind of get going. So it won’t be for everyone certainly but we’re hoping some people will be in inspired to kind of set forth on this entrepreneurship passion, vision with the passion that we know they have. MA: Oh, I didn’t see that one. HR: And I was telling him I was giving a workshop at FAU and we had a couple of hundred people there and I was showing an example, Rising Tide car wash, which to me was exciting on a number of different ways because it’s an entrepreneurial model that can work where you can bring in people who don’t have autism and say look here is a way for you to make a lot of money. These people like doing this and they can be very good and so forth. We had a women raise our hand and say washing cars is beneath our children, my child is going to interview with Microsoft. HR: And I showed them my folks gas station in Jersey City, my folks raised 4 kids with a gas station and I don’t think it’s about that. I think like it’s about in my Aspertools book how do we harness whatever strengths somebody has, let them figure out how to make a living out of it and maximize their happiness, health, independence, safety, and help each other out. MA: And social connectedness. I mean the interesting thing about the car wash and I’ve worked very closely with the guys and I’d like to say a few things. 1 who decides what’s beneath or above somebody? Every individual with a disability or not gets to determine where they want to work or how they want to live, it’s not up to us to judge that and I think it’s huge mistake for people to judge being too beneath somebody. That job could be a final job for someone and that could be absolutely brilliant or it could be a stepping stone to some other job once they have learned some fundamental job skills but I can tell you in the car wash, those young adults with autism that are working there are not only earning a wage for the first time in many cases, they have created social relationships with people within their workplace that they never had before. They are going out together on their own, they are hosting events, not with the owners facilitating or coordinating. They have created a social niche for themselves that they didn’t have before. They have developed empathy for their fellow workers, people are volunteering to go and pick someone up who might have to take 2 or 3 buses in order to get there. They would have never have done that before in some cases. So we have to look at the job as not an end point, the job is you know is a conduit through so many other things can happen socially, emotionally, behaviorally, and the fact that they are earning a wage, that’s pretty damn good too. I think that’s critical because now not only are they socially engaged, emotionally connected, part of a team of people, but they’re earning money. They can now think about having a car, having an apartment, paying bills on their own. Of course now we need to teach them how to manage their money because they’re making money, but there are opportunities that are now created because of that car wash. Another thing is it’s a great business. When they started they were doing 3,000 cars a month, now they’re doing 17,000 cars a month. So it’s a good business, it’s a good social enterprise, and it’s going to create opportunities for hundreds of individuals who would have had a more difficult time finding an immediate opportunity for employment. So for some it will be the endpoint and others it will be the beginning. But so what if it’s the end point? They have a job, they’re happy, they’re loving life, they’re making money. It just frustrates me that people have that mentality because I do think we always make this mistake, we always pre judge, we always judge people, who’s able who’s not able, what’s good enough, what’s not good enough, and I think that takes away the whole point of self determination, let people decide what they want to do and if they’re happy doing it then be happy for them. I think its part of that arrogance we generally have as society and people and sometimes as professionals. HR: Very interesting and profound viewpoint and it’s all true, we tend to want to dictate, you should like this. I didn’t know all of those years my daughter’s all her sense were hyper, who knew? And you say oh you’re going to like this, you’re going to like the fireworks. MA: I think it’s failing to step back and really appreciate the other person’s point of view, I mean we talk about theory of mind in autism and one of the things that’s lacking all the time in these discussions about what’s an appropriate outcome for someone with Autism, is theory of mind. No one every thinks to ask the person with autism is this an acceptable outcome for you? If it is for the person then we have to honor that, we have to give dignity to that and not diminish it in anyway. It’s a huge mistake. HR: For those in our audience that you’ve inspired from this interview to go into the field, I’m getting calls from people who are interested in and I can’t tell them the spectrum of different levels of things you can get into and how long it takes. I can do it for medicine, you can become a this or a that or a physicians assistant and so on but what is the least and what is the most I guess if you say the most I’ll say PhD in something. MA: Well you can graduate from college with a Bachelors in psychology for example and work as a behavior technician in a clinic or part of a team where you’re being supervised by a fully certified behavior analyst. But another option just above that is we actually at UM just starting in August will be offering a 1 year masters program in behavior analysis so that will be one full year, fully programmed to the point where you don’t have to take any courses beyond that year so practicum courses, classroom courses, and it’s a masters degree so you spend one year with us, you’ll have your masters degree and the end of that year you’ll be able to sit for the certification exam in behavior analysis as a fully certified BCBA and that’s probably the shortest path to the full BCBA because you have to have your masters for that. But there are other pathways for meaningful work in this business. You could be a social worker, you could be a marriage and family counselor, mental health counselor, a special educator, you can be a school psychologist, obviously the longest paths are medicine if you want to be a neurologist or psychiatrist or something along those lines. For psychology the path I took was 4 years undergrad and 6 years in doctoral program which included a year of internship. So it’s a 10-year journey and then it’s the journey trying to get an academic position and maintain a career in academia, you know it’s not easy; it’s a long journey. So the PhD is definitely with the MD the most far-reaching kind of goal but if you take it systematically and you know you want to have a career in Autism you just have to pick the path. I tell my students all the time the PhD is not the be all and end all, it’s a very nice degree and impressive on paper and sometimes in real life but it’s not your only pathway to have a meaningful life and a meaningful career. You can help people in lots of different ways and some don’t require anything, any degree. You can be a teacher’s assistant or a personal care assistant in their home with out any degree other than a high school degree. So I think people have to decide for themselves what path is viable and feasible and then go at it, go for it. The 10 year PhD path is a long one so I will acknowledge that if I had to do that again I’m not so sure, it’s long and it’s also very research based so not everyone wants to be a researcher, not everyone wants to do empirical masters not everyone wants to do an empirical dissertation, some people really just want to work with patients for the rest of their lives and that’s a choice they’ll have to make I think. HR: Larry Kaplan, head of the USAAA, took me to task because our 40 minute documentary you can view free of charge on our website Asperger’s, Autism, and the Square Root of 2 neurodiversity documentary. He said you know I don’t like that you said I think labels are a lousy way to describe a human being because if we don’t have labels how are you going to get grants and everything. He’s right in that way. MA: And as I’ve said before there is certainly a point and a purpose of having labels but when labels become so restrictive and in some cases demeaning, somewhat demoralizing to the person who has the label in some cases, in other cases there is great pride that comes with labels too. So the glass is not half full, not half empty. HR: It’s kind of a segway too to what I’m trying to get to overcome with Different Brains is to get everybody to get rid of the stigma of having a different kind of brain because we don’t want to be stigmatized whether it’s mental health issues, intellectual disabilities or anything. When we interviewed Steve Ronik from the Henderson Behavioral Health, he said Hackie why is it you’re not stigmatized if you go to an oncologist or cardiologist but we mental health professionals get better results. MA: That’s true. Interestingly something you said triggered a thought. We have quite a few young adults who come to the university of Miami as students, undergraduate students and they have Autism or Asperger’s or some other diagnosis but the parents are always wanting them to connect to the CARD center, get the support from the CARD center, to be affiliated with the CARD center and in almost every single case these remarkable young adults who have been so successful say I don’t want to go to college and be part of the CARD center. I want to go to college and just be a student. I don’t want to be that kid connected to his diagnosis by affiliating with the CARD center. So the parents are frustrated sometimes that we don’t provide those young people with more support but they don’t want that kind of affiliation, they want to start fresh, they want to be part of the young students who are going to college for their first time with out being tethered to the diagnosis of the past. Maybe it’s still relevant diagnosis maybe it’s not but the point is they don’t want that kind of support and I can totally get that, it makes perfect sense to me as someone who went to college once and saw it as an opportunity to just start fresh. New friends, new experiences, with out being held down by the past. That’s tricky sometimes, certain layers of support around that certain individual when they go off to college and some cases they would benefit from it and they have the right to decide how they want to be supported. HR: It’s true. We’re seeing that kind of thing also to a lesser extent at the Boys and Girls Clubs of Broward County which I was the past chairman, we serve 12,000 kids and we’re very proud we have a 90% high school graduation rate and everything but a big thing is when they go off to college is not having the support system there and you want to do it but they want to go off and get a fresh start wherever it may be. Then you get into the other things like financial literacy. MA: Listen, everybody wants to create the most prosthetic world for everybody who has ever had a problem in any point in their life but that’s not the world we live in. That’s no the real world and you have to appreciate that if someone doesn’t want certain layers of support around them as they move onto this new experience then they are going to have to learn through their own trial and error that they need certain supports and then they have to self advocate for them. I still always fall back on the idea that we have to listen to the person and if they understand that the support would benefit them but they choose not to have it in that initial moment we have to respect that and be there to support them when they’re ready to receive that level of support. But to pressure them, to put layers of support around them at that level, I’m talking about the college level student who has been admitted, obviously there are other kinds of individuals who might need someone to impose a little more support for their well being. But in that case I think we have to be more respectful. They’ve made it this far, they’ve been admitted to a top 50 university, they lived with their autism their entire lives so they understand what it is that their living with, what it is they need, what it is that they might benefit from and we have to respect their choice. At the end of the day all my work is about respect and it’s about just dignifying the humanity of individual people to make their own choices and determine their own path. We all have the best interests, professionals, parents, everybody. But those best interests can become damaging if they are in direct contrast to the wheel of the individual themselves. So we have to learn our place as they move through life and that’s hard to do when you’ve been really involved from the beginning. It’s hard to step back and say let the little bird fly, it’s really difficult for all of us, professionals too. I have a deep sense of commitment to so many of my clients I’ve been serving for 20 years that I want to protect them but you have to all have to learn when it’s time just step back and be there to catch them should they need it. HR: When I was fortunate enough to give a webinar for the AANE it went to I think like 8 countries and 36 states and I was very surprised. It was like an interactive thing, how many of the individuals on their were transgender or thinking those lines and had a lot of questions in regard to gender preference, sexuality, dating, the whole LGBT and everything like this. To me it made perfect sense because so many of these Aspies they think logically, they think logically about things. What has been your observations and experience in that realm? MA: Well I think we see the range of the sexual preferences certainly among our clients, you know the journey is not necessarily harder or easier for a person with Autism that discovers that their gay, lesbian, bisexual, transgender. It’s the same journey. I think what’s challenging is there is not clear role models. We have very few role models even in the gay and lesbian community for the most part. Certainly when I grew up I was thinking no one would love me, my parents wouldn’t accept me, my clients would never respect me, my brothers would berate me, I didn’t really understand that I could have a fully formed life where I was contributing in a meaningful way and people actually accepted that. So for a young person with Autism, who also happens to be gay for example? I think there are even fewer role models. The typical of a person with Autism has Temple Grandin and so many other peoples who have been very public about their Autism but when you think about being Autistic and also being gay, lesbian, bisexual, or transgender; I think we need people to speak up about that as well. I know from my own experience had there been a person, a role model that I could look to that had a viable life it would have been a great help to me along the way. You know there was a lot of emotional suffering back in my day a long time ago with trying to come to terms with being something that you thought the rest of the world wouldn’t accept or honor. HR: I make the analogy, it’s one of the reasons I’m pushing Different Brains because to me now a days to have a different kind of brain, whether it’s PTSD, anger management, or Autism, or Asperger’s, bipolar, it’s like being gay 50 years ago. They want to stay in the closest. Well let everyone come out of the closet. I want the president of the United States to wear a T-shirt that says my brain is different because it certainly is. MA: And indeed it seems to be. HR: But so is everyone in this room. MA: But we have to honor that as well. HR: That’s right we do. But you can’t pretend that it’s wired like somebody else’s. It’s wired the way it’s wired. And as my daughter said every brain is like a snowflake, no two are alike. MA: I think what you’re doing is really helpful to so many people beyond the world that I live in certainly because the idea of what your saying that all of us are unique, all of us have our own odious and cretic brains all come with value all come with challenges, all come with a tremendous opportunity to contribute in a meaningful way that other people live in as well. HR: Absolutely. For our audience, how can they learn more about the Autism Innovations and Global Impact Conference? MA: Great, well the conference is all over the internet and we’re publicizing it in every media forum we can, if they can go to the ells center of excellence website and I think you’ll have a link to that on your site, they can look up the Autism Innovations and Global Impact Conference and look at the program. There are opportunities for people to register with a discount if you’re a registered CARD family. You can register by typing in family or CARD; I actually have to check on that. If you’re a parent you can type in parent and there are many other opportunities for discounted rates as well. It’s going to be a wonderful transformative conference for South Florida. 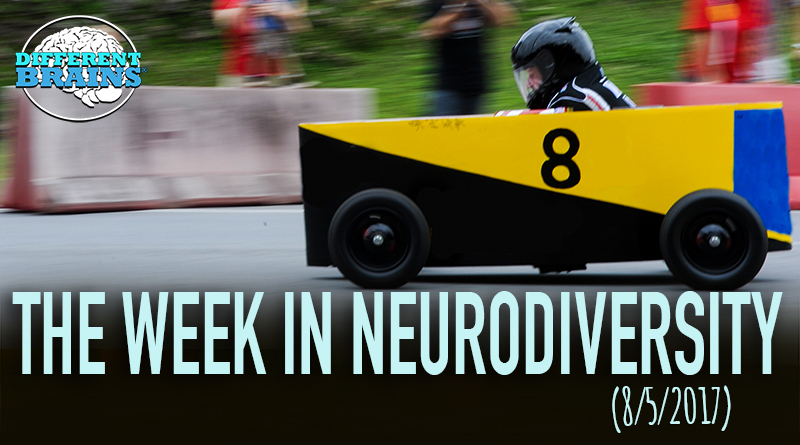 We really haven’t had in my opinion a really high-level scientific autism event in awhile. I think we have great CARD conferences every year in the state of Florida and we have other regional conferences for other national associations but something that is this dedicated to autism research and the global impact of it is really pretty special. HR: Michael, it’s been a pleasure speaking with you. We’ve been speaking with Dr. Michael Alessandri the head of CARD, the Center For Autism Related Disabilities at the University of Miami and Nova Southeastern University, and the chair person for the April 28th and 29th Global Impact Conference that the Ells Foundation is having in Jupiter, Florida. Michael thanks so much its, been a pleasure keep up the great work. MA: Thank you, it’s a privilege to be here. (19 minutes) Musician and educator Joseph S. Lento speaks with Hackie Reitman M.D. 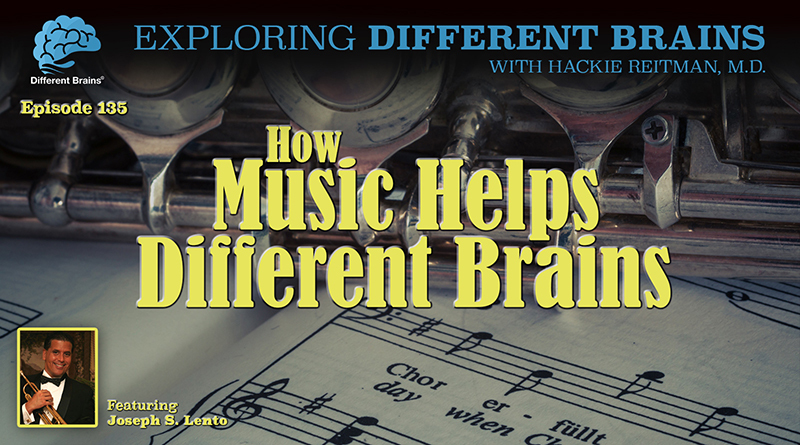 about how music and learning a musical instrument can help the brain.